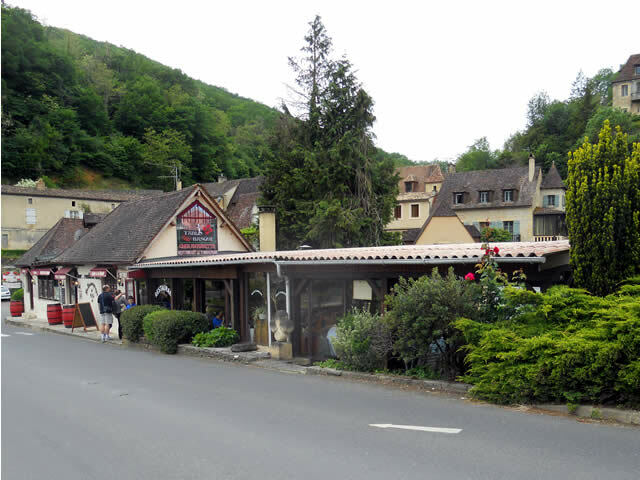 This was one of our treat days, lunch out at Le Tournepique restaurant which sits on the bridge in the lovely village of Castelnaud la Chapelle. Recently the restaurant has acquired new owners so with this in mind we thought that we would take a look at the menu just to see if anything had changed. Still the same Spanish influence, so we thought that we would give it a try. 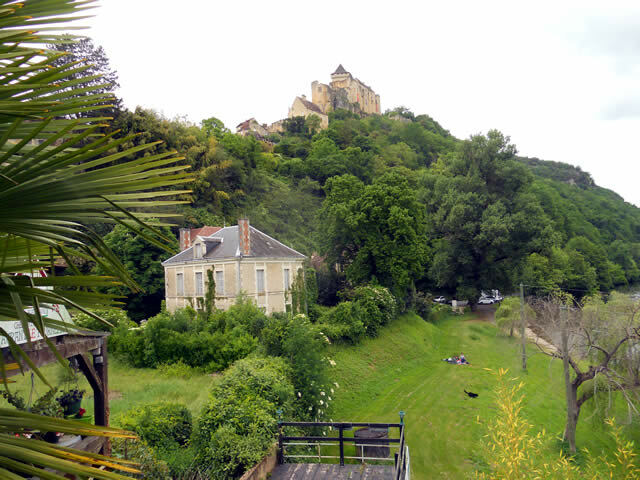 One beauty of this restaurant is the view from the windows, a vista that takes in the Château sitting atop the hill and the the Dordogne River meandering by. The view from the restaurant looking towards the château. 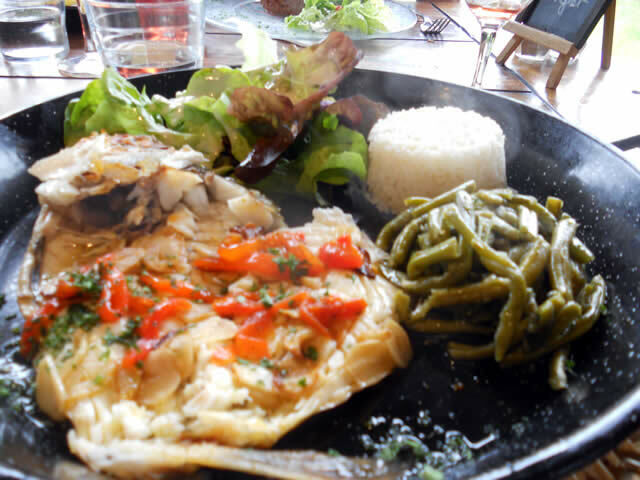 Served in the pan, sea bass, salad, rice with the most delicious sauce of peppers, onion and spices, excellent but I could not eat it all. A relatively new but ultra trendy concept in France, this is a coffee served with a selection of desserts. Perfect for the sweet-toothed indecisive, you get one two or in our case four mouthwatering portions of different desserts, no choosing is needed: the chef decides what to serve. 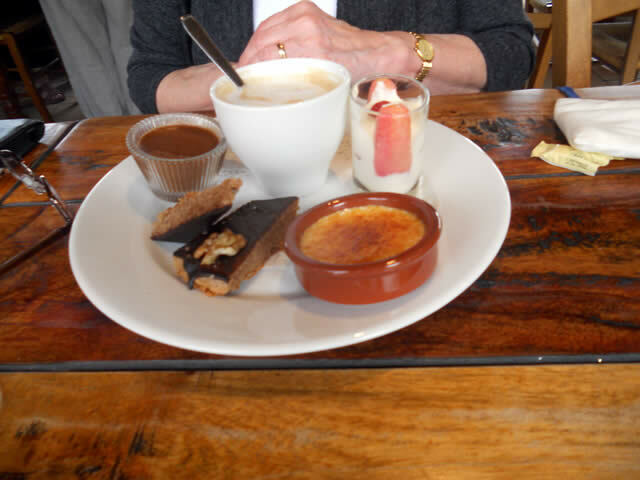 We had chocolate mousse, rhubarb trifle, walnut gateau, and crème brûlée, all washed down with the traditional coffee crème. Delicious, I enjoyed every mouthful and there is certainly, enough for two to share. I was so full that I did not eat anything until the next day, which was a diet/fasting day. Good food, a major plus point is that you can see the chief preparing your meal in the open kitchen, the aroma is wonderful. Friendly staff with excellent views to compliment the meal, we shall go again. 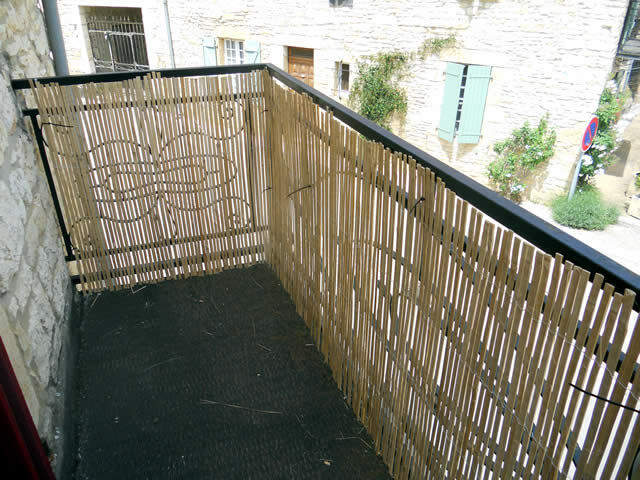 We have returned from our renovation work on our home in Daglan France, with great news – no radiator leaks. 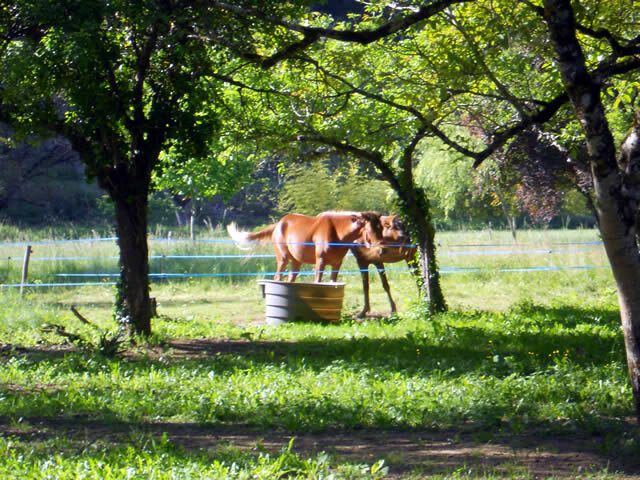 I was ready for the annual flood of water which always starts with a small trickle and finishes with an indoor swimming pool, but no leaks, wonderful. One of our tasks this visit was to make our home more “cat friendly”. 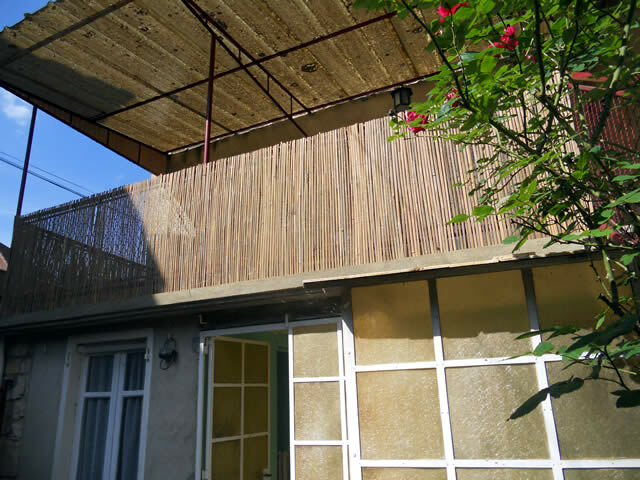 This we completed with the help of bamboo fencing on the balcony, veranda and courtyard. I plan to grow a variety of pot plants that will I hope, meander up and along the bamboo. The large veranda at the back of the house is still in need of some loving care. We are hoping to replace the windows and install French door’s after our move to France. More bamboo fencing? 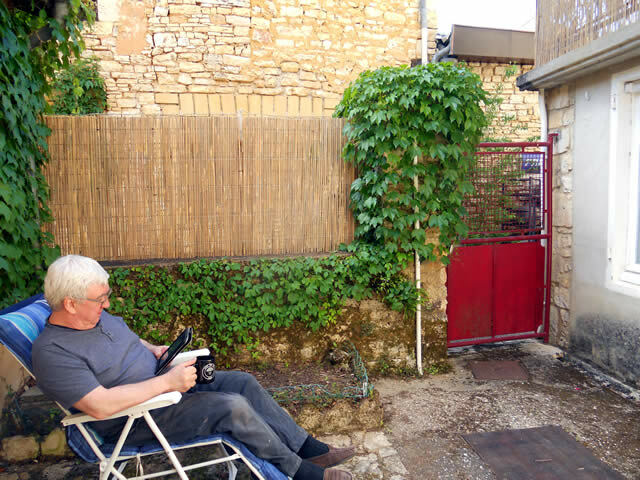 Paul relaxing in our courtyard on a gorgeous hot day. 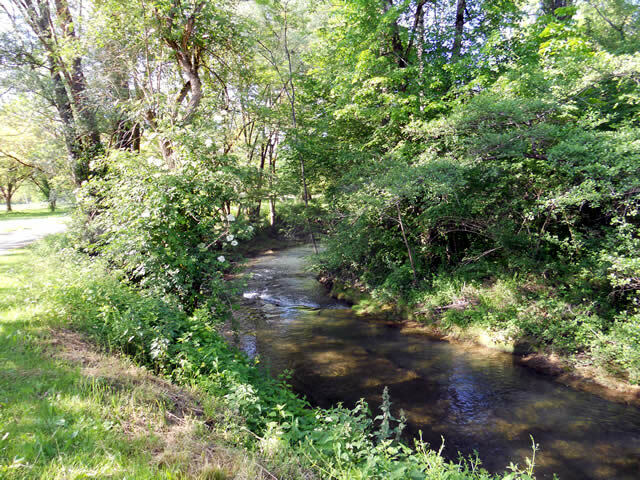 https://ourfrenchdream.files.wordpress.com/2015/06/dscn0806.jpg”&gt; And we partitioned the chaufferie – boiler room. With luck the more obvious cat temptations are now less tempting … but cats will be cats.